NET, C++, C#, Java, Adobe Flash, HTML5, Windows, Mac, Android and iOS. 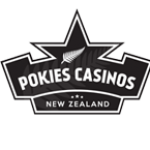 Pokies, Network Jackpots, Branding, Bingo, Live Dealers, Table Games, Video Poker, Lotto, Fixed Odds & Sportsbook. Alderney Gambling Control Commission, Gaming Laboratories International, Member of the World Lottery Association & Associate Member of CIBELAE. UK & Malta Approved Membership. Are you happy or unhappy with the selection of casino games on offer overall. Introduction And History To Playtech Gaming. Playtech is the largest online gambling software development company which was founded in 1999 and is listed on the London Stock Exchange and is a constituent of the FTSE 250 Index. Their Headquarters are situated in the Isle of Man with branches in Bulgaria, Cyprus, Estonia, Germany, Gibraltar, Israel, Latvia, Philippines, Russia, Sweden UK and Ukraine. Playtech offers a complete cross-platform which offers players access to online, broadcast, mobile and server-based gaming terminals with only one account. Playtech concentrates on continuously developing only the best gaming products and content, and keep building strong and successful partnerships with their licensees. There are hundreds of thrilling games with cutting edge quality and variations. The company also offers branded casino games which were created through licensing agreements with popular brands such as Marvel, HBO, MGM and NBC Universal. Playtech was founded in 1999 in Tartu Estonia by developers from the casino, software engineering and multimedia industries. In 2001 Playtech welcomed its first Casino licensee and grew by leaps and bounds. They kept adding more products to their portfolio including Live Casino, Bingo network, iPoker network, Videobet and the Mobile Casino. 2006 is the successful year when shares were listed on the London AIM and officially Playtech became a public company. In 2006 Playtech kept growing and opened offices in Bulgaria. Playtech also launched sports betting and penetrated some of the regulated markets including Italy, Spain, Estonia and Serbia. 2010 was a year where multiple acquisitions and integrations took place. Playtech became a leading provider for multi-channel gaming solutions such as: Virtue Fusion, GTS – the biggest Bingo provider in the UK, Affiliate marketing specialist, – PTTS, Best gambling games creator – Ash Gaming, Leading mobile gaming enabler – Mobenga and the leading provider of management systems – Intelligence Gaming which allows Playtech’s licensees to connect their online and retail operations. The successful growth of Playtech was again recognized in 2012 when the company listed on London’s Main Market and expanded further by acquiring the UK’s leading sports betting provider, Geneity. Playtech continued to succeed into 2013 when they acquired Poker Strategy which continues to spearhead the industry’s Poker offering. Today Playtech is the world’s leading supplier of online gaming software, thanks to their innovative thinking and unique cross platform solution providing cutting edge games across all platforms with a single login. About Playtech Pokies And Casino Games. Playtech features one of the best online pokie game selections with games available for every type of pokie game player. Playtech offer a variety of themes from popular comics, movies, and sports personalities. Play jackpot games or simply play the traditional 3 and 5 reel pokie games. Playtech covers casino games from simple graphics to intense games that make use of video and sound clips creating a powerful and vibrant atmosphere! Playtech pokies share very similar features, the most common being the controls of the games. Most of the Playtech pokies feature between 15 and 25 paylines, players may also choose the number of active paylines – these games do not make use of coins, instead players can directly choose the wager per payline. Other special features found across the range of Playtech pokies include the Wild and Scatter symbols, Free Spins and second screen Bonus features. The innovative Bonus features incorporate Expanding Wilds, Sticky Wins, Tumbling Reels, Multipliers and Bonus Picks. Playtech offers Marvel Series pokies which are based on the famous Marvel superheroes. The Marvel pokies are also all part of a Progressive Jackpot with 4 jackpots to be won. Playtech also focuses on branded pokies with titles such as The Sopranos, Gladiator, Pink Panther, The Mummy and Rocky. The graphics are sleek, the sound effects realistic and players will surely walk away with a win! Playtech is also known for their big jackpot payouts which often pays into the millions! The progressive jackpot pokies add fun and excitement to the pokies. The online pokie progressive jackpot has an average win around 3 million and is won on adverage, every 26 weeks. Playtech’s online video progressive pokie game pays on average 1.5 million and gets won on average every 12 weeks. The Marvel Jackpot pokies are won at random and they provide 4 different Jackpot teirs: Power Jackpot, Extra Power Jackpot, Super Power Jackpot and Ultimate Power. The highest possible win is the Ultimate Power Jackpot ranging between 100,000 and 1,000,000 credits although its fairly common to see the jackpot won around 600,000! Playtech offers one of the most interesting and the largest progressive jackpot suites available, below we have listed the pokie progressive jackpots including the launch of Playtechs new “Age Of The Gods” 4 teir progressive jackpot suite. Playtech iOS Android and Mobile Pokies. Playtech features the Mobile Hub which is designed to integrate content and delivers a superior player experience on mobile devices for mobile casino, mobile poker, mobile bingo, lottery and mobile sports betting. You get access to the operators full offerings on their Smartphone’s or Tablets through a branded and unified interface which can also be managed through a centralised management system. Playtech’s mobile gaming is compatible with almost all devices from entry-level to the most modem high-tech Smart phones and Tablets such as iPhone, iPad and Android devices. Mobile games include table, pokies, bingo, poker, lottery and sports betting. Playtech Casinos You Should Consider. Playtech Mobile Gaming - On The Go.